Welcome to my NHT Global Review! Have you ever tried selling a vaginal lubrication product in any of your business lines? If you did, have you succeeded to convince women to purchase or not? If so, this is one of the hurdles you’re going to get when you decide to join this company I reviewed. Let’s talk about NHT Global and their itty-bitty details. Want to See the #1 Online Business Opportunity in 2019? Before we’re going to dig into the company, let me introduce you to the Ultimate Make Money Online Guide. It contains more than 9,000 words, a valuable resource, for beginner business-minded person like you. It’s going to introduce you to the first baby steps in building an online business and boost your MLM income if you ever decide to join someday. If not, it’s going to be a useful tool to know the path you’re going through in an online entrepreneurship journey without guessing which comes next and what to prepare, stuff like that. 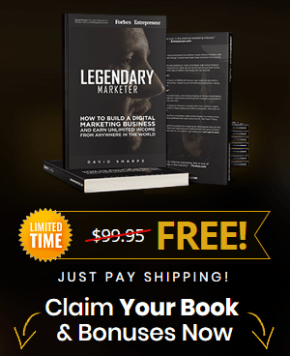 Get your own copy of the Ultimate Make Money Online Guide for FREE. Going back, are you ready to know more about NHT Global? Alright, let’s dive into it. Shall we? Best for: People who want to earn a side income by selling health, nutritional, and personal care products similar to Amway. Summary: NHT Global started as Lexxus International, however, due to the succeeding legal issues faced during the early years in business, the executives forced to rebrand the company with new CEO. Is NHT Global Recommended? No. How To Make Money With NHT Global? How To Join NHT Global As Affiliate? NHT Global Review [UGLY] Truths Unveiled! NHT Global, a subsidiary company of National Health Trends Corp., is a network marketing company that offers health, nutritional, and personal care products similar to Amway, Forever Living Products, and among others. Prior to establishing the company as today, they had quite a list of lawsuits in the past especially shortly after they founded NHT with its previous leaders, leaving this MLM a big hurdle that forces them to create a big brand change. When they did, they managed to top the US sales with their flagship product, Alura, clinically-proven vaginal lubrication. As soon as you land on NHT Global official website, this is what you see. During its foundation 18 years ago, NHT Global was actually Lexxus International, an MLM based in California. Its founder Terry LaCore established the company targeting the health and personal care niche at the time. However, in the long run, a series of problems arose leading to NHT’s initiative to file a case against its founder due to the allegations of fraudulent activities within the company he started. As stated in a report, SEC launched an investigation to the company, which was then Lexxus International. Although they didn’t make any legal action against the company, they filed “securities fraud civil enforcement action” against LaCore and its founding president Mark Woodburn. Not only the problem arose in 2006, but in 2016, that’s 10 years after they overcome the legal hurdle, they faced another action from the shareholder plaintiffs Wang Juan and Many Dao in accord to violations of US securities law pertaining to NHTC’s business in China in mid-2015 and 2016. In 2017, they resolved the case by paying $1.75 million. That’s a lot of legal problems within the past decade in the network marketing industry. If you think about it, there’s nothing extra special in their product line. But there’s one thing that caught my eye. Aside from Pure Romance, an MLM that offers sexual toys, NHT Global’s flagship product (that made them regain their reputation in the industry) is Alura Lux, which is vaginal lubrication worth more than $50 in retail price. Below is a screenshot of some of the products they offer for their customers and their retailers. Basically, you earn more in retail sales in NHT Global by having discounted rates upon purchasing business starters. As stated in their compensation plan, 59% of their members in the US benefited from these discounts either for personal consumption or business. The sad thing is the figure itself equates the number of people who don't receive commissions because they don't sell the products. If you don't belong in this group (rather 41.3% of the business-minded folks), you're likely to receive commissions apart from the discounted rates in accord to the SV you sold and your rank. NHT Global pays out by unilevel and binary compensation models, which means the ones at the top unilevel team pays the ones below them (level 1 right underneath their level). You earn when the top of the binary team pays out together with the other affiliate of the same level. Let's say, you're in level 1. There are 2 of you in the same rank. You receive the payout equally from the top-ranked affiliate. This is how this model works. In general, the 1/3 and 2/3 ratio applies in this model. That means the 2,500 GV (Group Volume) matched with 1,250 GV on the other side. Hence, they need that certain amount to make the binary model works. Another way to earn money in NHT Global is through matching bonus, which is intended for Level 3 affiliates in certain percentages. Further, you gain benefits when you become one of their eligible retailers. One of those is your freedom and flexibility to choose when and how you want to work with your sales. Keep in mind that it won't mean a guarantee of increased sales simply because you have these lax working hours. "Like all business, some members will succeed, while some will not," NHT Global wrote. Once you decided to become one of their trusted retailers, it's easier to join their company. As per Statement of Average Gross Compensation 2017 file, they wrote the basics of enrollment before you officially sell their products (or consume them personally). The first thing you need to do is to buy products at a special price (discounted price) either for personal consumption or for business (for retail profit). The second thing is obvious. You need to expand your network by building your downlines via recruitment. Also, you need to sponsor others who choose NHT Global products to consume and/or sell any of the products of their choice. 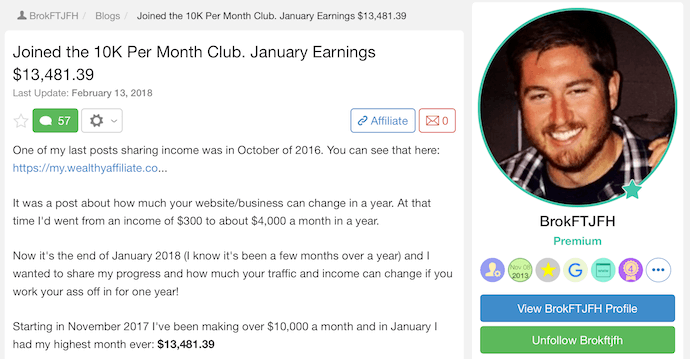 While writing this review, what I noticed is the 59% of their affiliates, apparently represents the majority of the group, doesn't earn compensation due to no sales, and only 10 members out of 988 members managed to earn more than $25,000 in one year, and 1 member with more than $1 million earnings. Who's the lucky person and who are these 10 members who earn that high? To me, this is a big question mark. When I dug into research, I found out that other MLM companies like Vemma and Herbalife used this tactic to prevent potential FTC pyramid scheme commission case. In network marketing terms, they call it "pseudo-compliance argument." Another review revealed NHT Global "Pay to Play" scheme, which means that you have to pay more to gain more earnings in the company. On top of that, they also require you to sign up for autoship of a minimum of 35BV every month, which equates approximately $500. If you aren't able to sell around that amount, you have to spend another $500 from your pocket. They implement that rule by force. They do this in a way affiliates won’t notice unless if they’re critical and careful of what they’re signing. Apparently, there are 59% of them in the company. Anyway, NHT Global implements “Pay to Play” upon membership worth a minimum of $75. If you want to guarantee more earnings, obviously you have to pay more. This is the worst. Upon registration, you have to sign up for the autoship worth a minimum of $500 of products. This means you have to work harder to sell more than this line. Otherwise, you have to pay the next month’s products from your pocket. As I’ve mentioned earlier, there are less than 2% who managed to earn more than $25,000 annually and there are 59% of them who aren’t earning anything. From there, theories like unable to earn the minimum $500 on autoship or personal consumption purchases come up. If you go back all the way when NHT Global started 18 years ago, you’ll see a series of legal actions filed against the company due to fraudulent activities. You can go back to our Important Background Information section and read the whole thing about them. The only thing I liked about NHT Global is the fact they tried harder to appear clean to their potential customers with a new brand and a flagship product, Alura. Many reviewers questioned how the company managed to create and market it causing virality. However, the fact it cemented them in the MLM (again) is admirable. Nonetheless, it doesn’t change the fact they’re trying to make ways to implement subtle pyramid scheme to their affiliates, unfortunately. Overall, the company is too risky to consider a jumpstart for beginner business folk like you. There are way too many red flags albeit lots of brands they sell under NHT Global. 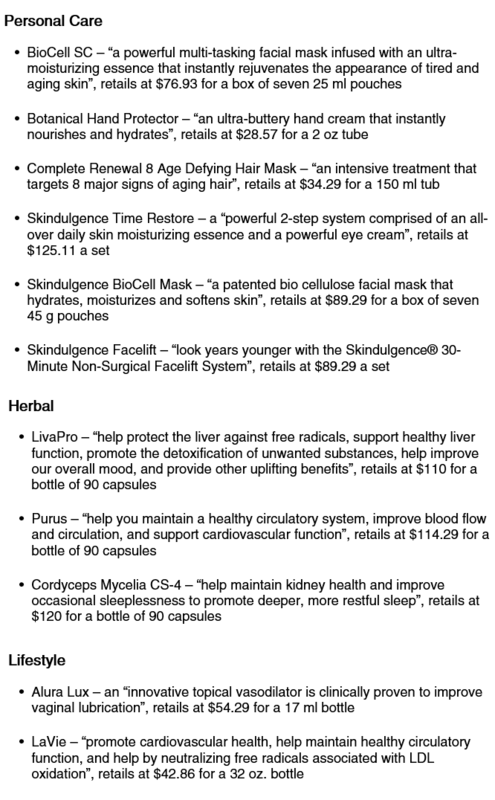 They aren’t a scam, but they are a legitimate company with real products in an array for you to choose from. The downsides are clear, apparently. It’s up to you whether you pursue and invest in this MLM or not. If not and rather search for other opportunities out there, you can read the next section. It’s the year of the golden pig. Of course, lots of people want to know their fortune for the whole year, if they’re lucky or not. But, you know that your misfortunes don’t come from the horoscopes and zodiacs. They’re from your decision to change your unhealthy financial perspective into a driven business spirit. You can go through different business opportunities, even in a network marketing company. Just DON'T take NHT Global as a prospect. You can go through our recommended online opportunity you can try to make sure you receive the Return of Investment (ROI) you seek. That said, I want you to download Ultimate Make Money Online Guide and get through the proven 4-step process of earning a legitimate income that will soon pave the way to your financial freedom, just like Roope “Robert” Kiuttu, a successful affiliate marketer from Finland. Do you want to have an ultimate Freedom of your life? If your answer is, "Yes!" follow Roope's Ultimate Make Money Online Guide to get started for FREE now. 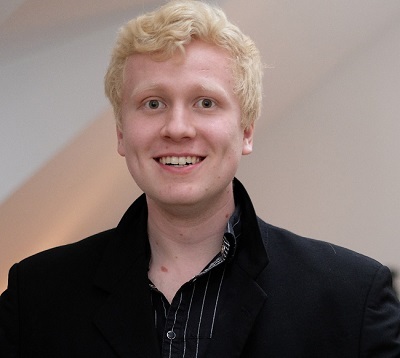 He founded Your Online Revenue, Ltd. in 2015. Since then, he’s able to leverage himself as a mentor to more than 3,000 individuals under his belt and to succeed as an online entrepreneur for years. That is without compromising his leisure time and travel. In fact, he’s been in Las Vegas last week. You see below are some of the affiliates who succeeded in the same 4-step method Roope has been using over the years. Plus, there are 13 more successful stories to show you our Ultimate Make Money Online Guide works. If you want to see yourself, click the green button below. Wealthy Affiliate paves the way to quitting his dread 9- to 5-day job and to enjoy the laptop lifestyle successfully unlike in MLM promises you to achieve. Read The Ultimate Make Money Online Guide For FREE! Now that I have shared my thoughts and opinions in my NHT Global review post, I turn the table and ask your opinions about this network marketing company. What kinds of experiences do you have by selling NHT Global products and other items in their product line? Are they worth your time, money, and effort? Do you prefer to begin earning your first passive income through affiliate marketing or you rather invest in a Multi-Level Marketing company like NHT Global? If you have further questions that I haven't discussed in the post, feel free to leave them in the comments. I love reading them. 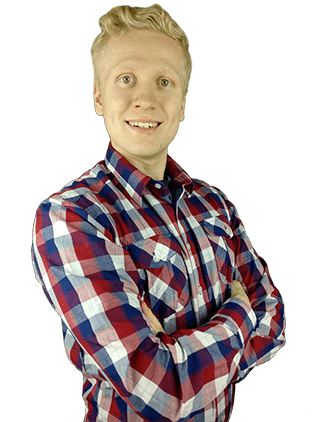 On the other hand, if you feel like you want to learn more about Roope’s step-by-step formula to make money online, leave a comment as well and he'll be happy to help you out. He loves to help people, especially those who are willing to give the work. Learn to Make Money Online Like I Do! Would YOU Like to Have a Profitable Online Business? Yes, Let's Get Started NOW!